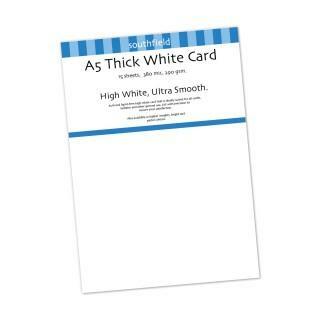 A top quality pack of high white card that is ideally suited for all crafts, hobbies and other general use. This card is approx. 290gsm Acid & lignin free. Available in 2 sizes: A5 size is 148mm x 210mm & A4 size is 297mm x 210mm.